Thomas Sowell (born June 30, 1930) is an American economist and political commentator. He taught economics at Cornell University, the University of California, Los Angeles, and since 1980 at the Hoover Institution at Stanford University, where he is currently Senior Fellow. Sowell writes from a libertarian conservative perspective, advocating supply-side economics. He has written more than thirty books (a number of which have been reprinted in revised editions). In 2002 he was awarded the National Humanities Medal. During a discussion in Milton Friedman's "Free to Choose" television series in 1980. Too many Republicans treat English as a second language, with Beltway lingo being their native tongue. Syndicated column, retrieved from The Tuscaloosa News, December 13, 1996. Creators Syndicate November 28, 1998. Ideas, as the raw material from which knowledge is produced, exist in superabundance, but that makes the production of knowledge more difficult rather than easier. Civilization is an enormous device for economizing on knowledge. Knowledge may be enjoyed as a speculative diversion, but it is needed for decision making. It is unnecessary to attempt any general rule as to where the overall balance lies in comparing the respective costs of knowledge in larger and smaller decision-making units. What is important is to understand that (1) the respective cost advantages of the large and small units differ according to the kind of knowledge involved (general versus specific), that (2) most decisions involve mixtures of the two kinds of knowledge, so that the net advantages of the larger and smaller units vary with the kind of decision, and (3) the effectiveness of hierarchical subordination varies with the extent to which the subordinate unit has knowledge advantages over the higher unit. While decisions are constrained by the kinds of organizations and the kinds of knowledge involved, the Impetus for decisions comes from the internal preferences and external incentives facing those who actually make the decisions. Key indicators require some specified time span during which they are to be tabulated for purposes of reward or penalty. The time span can vary enormously according to the process and the indicator. Before attempting to determine the effect of institutions, it is necessary to consider the inherent circumstances, constraints, and impelling forces at work in the environment within which the institutional mechanisms function. One of the grand fallacies of our time is that something beneficial should be subsidized. The case for the political left looks more plausible on the surface but is harder to keep believing in as you become more experienced. Understanding the limitations of human beings is the beginning of wisdom. The key feature of Communist propaganda has been the depiction of people who are more productive as mere exploiters of others. Envy plus rhetoric equals 'social justice'. History shows that degeneracy can be turned around because it has been done in the past. But the real question today is: Will we turn it around-or is what we are doing likely to make matters worse? Most problems do not get solved. They get superseded by other concerns. Wake up, Parents, Jewish World Review, 18 August 2000. "Live" with Thomas Sowell, The American Enterprise, September 2004. Random Thoughts, Townhall, December 2004. Ending Slavery, 8 February 2005. Don’t Get Weak, National Review, May 1, 2007. National Review, March 15, 2007. "Driving While Black" (31 October 2007), Jewish World Review. "Bipartisan Primary Blues", National Review (25 March 2008). Random Thoughts, 26 August 2008. Idols of Crowds, Sep 16, 2008. "Out of Context", Jewish World Review, 2 June 2009. In the summer of 1959, as in the summer of 1957, I worked as a clerk-typist in the headquarters of the U.S. Public Health Service in Washington. The people I worked for were very nice and I grew to like them. One day, a man had a heart attack at around 5 PM, on the sidewalk outside the Public Health Service. He was taken inside to the nurse's room, where he was asked if he was a government employee. If he were, he would have been eligible to be taken to a medical facility there. Unfortunately, he was not, so a phone call was made to a local hospital to send an ambulance. By the time this ambulance made its way through miles of Washington rush-hour traffic, the man was dead. He died waiting for a doctor, in a building full of doctors. Nothing so dramatized for me the nature of a bureaucracy and its emphasis on procedures, rather than results. Big Lies in Politics, 22 May 2012. "An Economic 'Plan'?" September 11, 2012. In a country with more than 300 million people, it is remarkable how obsessed the media have become with just one—Donald Trump. What is even more remarkable is that, after seven years of repeated disasters, both domestically and internationally, under a glib egomaniac in the White House, so many potential voters are turning to another glib egomaniac to be his successor. Some intellectuals’ downplaying of objective reality and enduring criteria extends beyond social, scientific, or economic phenomena into art, music, and philosophy. The one over-riding consistency across all these disparate venues is the self-exaltation of the intellectuals. Unlike great cultural achievements of the past, such as magnificent cathedrals, which were intended to inspire kings and peasants alike, the hallmark of self-consciously “modern” art and music is its inaccessibility to the masses and often even its deliberate offensiveness to, or mockery of, the masses. Just as a physical body can continue to live, despite containing a certain amount of microorganisms whose prevalence would destroy it, so a society can survive a certain amount of forces of disintegration within it. But that is very different from saying that there is no limit to the amount, audacity and ferocity of those disintegrative forces which a society can survive, without at least the will to resist. I must take the occasion to apologize for a major omission from my article, my failure to give credit to Professor Thomas Sowell for two excellent discussions on Marxian economics which I have only recently come across. While he does not deal explicitly with the transformation problem, his discussion of Marxian value theory, which is documented with exquisite care, comes to conclusions very similar to my own on the tautological nature of the value theory and on the nature of Marx' interests in the subject. Though he does sometimes speak of value theory as a first approximation [3,1967, p. 66] he makes it clear that Marx always considered the deviations between prices and values to be systematic [3, 1967, pp. 65-6]. I recommend these pieces unhesitatingly as models of Marxian scholarship. Sowell’s book attacks liberal, experts and intellectuals for their interventions into the media sphere (the wealth of homosexual journalists explains the absence of ‘factual information’ that could reflect negatively on homosexuals), the law, war (pacifism fails to understand the ‘tragic vision’ that human aggression must be controlled by force) and finally for seeking to replace ‘family, religion and patriotism’ with ‘class’ and ‘“gender”’. Ultimately, this partisan book reproduces the Hobbesian vision of humanity as savage and selfish and lacking higher instincts. There is no society: we are all rational consumers whose only influence should be through our myriad daily economic transactions. Intellectual utopianism is tyrannical arrogance. Democracy leads to fascism, and intellectuals are already there. Intellectuals and Society is neither philosophy, nor politics. It is, however, an instructive tour d’horizon of Tea Party concerns. Sowell is an economist by training and should not be expected to know much about American foreign policy, as it’s beyond his area of expertise. I do find it a little rich, however, that Sowell has written a book complaining about what happens when intellectuals leave their knowledge reservation to opine about events of the day — and then proceeds to commit that precise sin during his book promotion. There are two possibilities here. Either Sowell has no capacity for irony, or he’s cleverly trying to add data points to support his argument. If there was any justice in the intellectual world, Thomas Sowell would be awarded the Nobel Prize for his brilliant interdisciplinary studies on the connections between race, culture and economics around the globe. Thomas Sowell is a gifted applied economist with much of importance to say about the larger issues in social policy and government regulation of economic affairs. [...] Sowell, however, has two failings. First, he has no heart for the plight of the poor, so his work in this area is illuminating for the false ideas he debunks, but does not contribute in any way to dealing with the problem of poverty. Second, he is a thorough-going right-wing ideologue, who is often cogent in his critique of liberal ideas, but is blind to similar, indeed often parallel, problems with conservative ideas. This book suffers especially from the second of these weaknesses. [...]Sowell has no understanding of information economics. He follows Hayek on the distributed nature of information, but he never confronts the literature that deals with the transformation of private information into public information. The importance of public information, central for instance to Durkheim and Aumann, is completely ignored in his treatment of government regulation. Herbert Gintis, Review of Thomas Sowell, Intellectuals and Society (2012), "Sowell is a Biased, Opinionated, Klutzy Intellectual"
For many years the term Austrian school in the United States was synonymous with Mises’s disciples. The first outstanding pupils to find themselves highly respected were Murray N. Rothbard and Israel M. Kirzner. In the 1970s and 1980s the group greatly expanded, with the present most representative work probably being done by Thomas Sowell. Friedrich Hayek, unfinished essay for the New Palgrave dictionary of economics, published in addendum of Chapter 1 of The fortunes of liberalism: essays on Austrian economics and the ideal of freedom (2012). 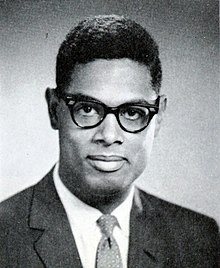 Professor Sowell is one of the rare minds who, after they have ascended from the infinite variety of concrete facts to a general view accounting for the structure of the complex world, find their way back to the wealth of particulars from which they started and in which ordinary people, other than economic theorists, are alone interested. Although his exposition of economic theory is impeccable and contains many original contributions, the strength of the book, its impressiveness and liveliness, is due to his always having before his eyes the concrete phenomena. Simple and vivid illustrations make us aware of the practical implications of his theoretical insights. [...] What I mean by the heading I have given to this review is that if I should now be asked by persons capable of exact thinking but ignorant of technical economics (and there must be hundreds of thousands of them who have great influence on policy) what single modern work would give them the best introduction to the present knowledge needed to judge the wisdom or folly of current policies, I would without hesitation refer them to Professor Sowell’s book. Friedrich Hayek, in "The Best Book on General Economics in Many a Year, Knowledge and Decision By Thomas Sowell: Reviewed by F. A. Hayek" Reason, Vol. 13, No. 8 (December 1981). Sowell is the best they have, sir. Has been cranky for years but wrote solid books back in the day. All in all, Sowell offers a number of intriguing ideas in the book, but he leaves too many of them only partly developed and defended. One final example: Sowell claims that those of us who favor free markets are more empirically inclined and have less ego invested in our views than those who advocate central planning and heavy government intervention generally. That is my impression too, and it is one of the most interesting and important ideas in his book. Unfortunately, he gives no evidence for that comparison. The book would have been a great forum in which to do so, but on this idea and too many others, he leaves his readers unsatisfied. Sowell likes history, but he likes it on Post-it notes. He also prefers to revisit stale arguments rather than intervene in current controversies. In a book about intellectuals and society, he manages to ignore the health-care and financial crises. Instead, he argues that intellectuals have misunderstood Herbert Hoover. Wouldn't VLII help us with the current economic crisis, to find out which ideas "worked"? Instead of addressing any concrete issues, Mr. Sowell simply repeats the bluster that intellectuals play rhetorical tricks and avoid arguments. As usual, he provides no details. If teaching consists of repetition, Mr. Sowell is a master. As to the single specific point in Sowell's note—that he in fact offers criticism of contemporary intellectuals, for instance, of myself: Dream on. Sowell cites me in two sentences—that is all—and he cites me in error. In Sowell country, a passing mention or mismention constitutes criticism. I have a very high likelihood of finding amusement in the things that Thomas Sowell says. It's not what he says so much as the fact that he's saying it. ... Thomas Sowell is very well known for his critique of intellectuals who make claims about society. That's all well and good - he even has some good points in the critique. But I just can't bring myself to take Sowell completely seriously when he puts on his public intellectual hat, precisely because he is so widely identified as an anti-public-intellectual. ... A lot of this is just meant to be in fun - the point of Intellectuals and Society was a good point. Unfortunately, it's often people who complain the loudest about the misbehavior of others that are successful in taking the spotlight off themselves. Steven Pinker, quoted in "Twenty Questions with Steven Pinker", The Times Literary Supplement (February 19, 2018); on the question "Which author (living or dead) do you think is most underrated?" As I said in my review, “Sowell maintains that his purpose in A Conflict of Visions is not to argue for one of the visions he describes but rather to understand the nature of enduring differences in political outlook.” On the other hand, as I also said, it is quite clear where his sympathies lie, and I do not think that any careful reader could fail to conclude from this book that Sowell takes a concern with “results” rather than with “process” to be a fault. An adherent of what he calls the unconstrained vision would not describe that vision in the terms Sowell employs. Sowell’s A Conflict of Visions is, on the whole, a very stimulating book and it argues a very important point, namely, that the political struggles which will shape our future social and political order are not only, and maybe not even primarily, driven by identifiable interests and by rent-seeking activities that use politics as a pure machinery for the redistribution of material wealth. Sowell rightly reminds us of the genuine power of ideas and visions in the political arena. Perhaps Sowell’s joylessness stems from the fact that his main idea is the hatred of ideas. It is one thing to be an intellectual and love ideas: why else spend so much time reading and thinking about them? When I come across a bad idea, I disagree with it and, as I am doing here, I try to expose its silliness. But I value bad ideas well enough to take them seriously. I write about Thomas Sowell because I recognize in him a fellow intellectual. But it is by no means clear that Sowell recognizes himself as one. He does from time to time note the existence of “conservative and neo-conservative intellectuals” who offer “an alternative vision” to the dominant ideology and whose influence “no longer negligible” in the media. But then Sowell goes on to write as if the only talking heads on television belong to Bertrand Russell and Noam Chomsky. Safely back to his thesis that intellectuals are always loathsome meddlers who hate capitalism, rationalize evil, and get everything wrong, he is free to quote Eric Hoffer, Paul Johnson, and all like-thinking writers who trod this ground before him.